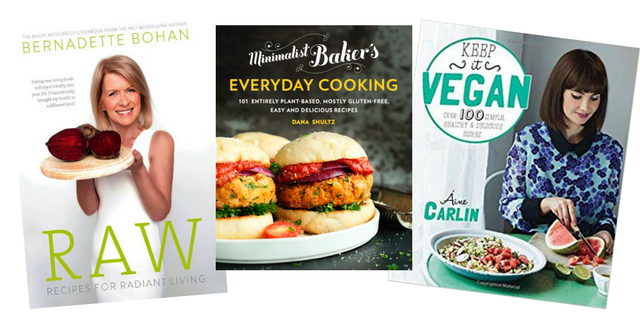 If you’re on the hunt for some wholesome vegan inspiration, this is the perfect time to expand your library. 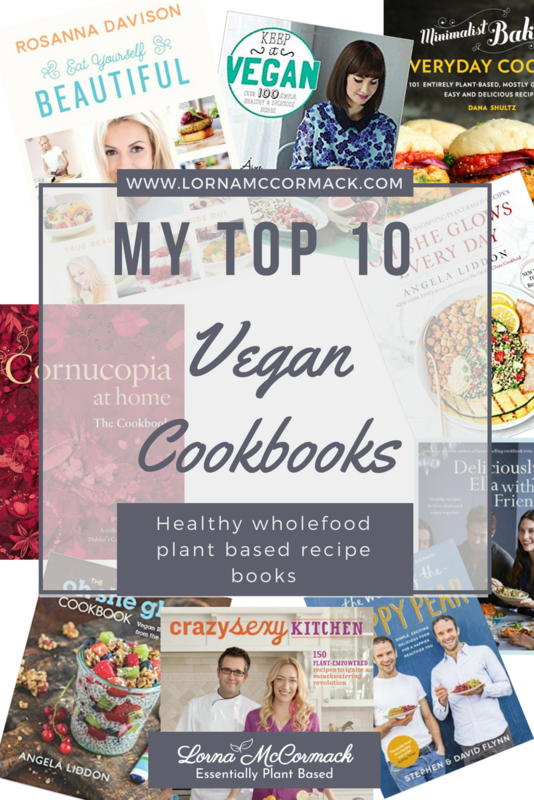 I’m often asked what cookbooks I have in my collection, and believe me to list them all here would make for some rather devoted reading, so instead I’ve picked out ten books with great plant-based recipes, that I find myself going back to time and time again for ongoing inspiration. Some are oldies but goodies, others are hot of the press but destined to become classics. In no particular order….because I love these guys and think they’re all doing an amazing job bringing nutrient dense delicious meals into our homes……. I’ve been following Ella’s blog from way back in the early days. Honestly, it’s the first blog I ever really followed. And I’ve stuck with her and have all of her books. Not only are her recipes easy and delicious, her personal story is inspiring. What can I say, I love these guys and the 'family' they're growing! They’ve brought nutritious plant-based meals into the homes of so many people that otherwise may never even have heard of the term ‘plant based’. Like Ella Mills, Kris Carr is an inspiration. Her journey towards a plant based lifestyle was fueled by a life changing diagnosis. She has appeared on Oprah, Dr. Oz and many other high profile shows. With this book you won’t just get mouth-watering recipes but a very deep education on life. The Oh She Glows blog is one of the top rated plant-based eating blogs in the world. This is Angela’s second book which focuses on convenience. Angela Liddon makes plant-based eating simple. My good friend Bernadette Bohan may be the very reason why I am here today. When I first started exploring plant based diets and when good information was hard to come by, I stumbled upon Bernadette's very first book 'The Choice'. I can honestly say that because of our many conversations I avoided getting lost down the rabbit holes that come in the form of misleading & inaccurate headlines about nutrition. Her latest book 'Raw' is jam packed full of tasty raw and cooked meals. What I love about this book is that each recipe only uses one pot or pan, has 10 ingredients or less and will take less than 30 minutes from start to finish. If you’re just starting out and need quick and simple meals, this is a gem for you! Aine’s book is broken down into breakfast, brunch, midday meals and simple suppers, something special, sides, sauces and of course treats. There’s no hard to find ingredients, just regular supermarket produce. Rosanna Davison wrote this book after years of been asked to reveal her secret to looking beautiful. Rosanna knows beautiful skin, hair and nails comes from the inside. Expensive beauty creams come nowhere near the power of plants! Ok, this one is not totally vegan but I wanted to include it because it was the very first heavily 'plant' focused cookbook I invested in. And an investment it was. 10 years on I still take it off the shelf regularly. It's packed full of ‘Irish’ style dinners. But I also learnt from it some basic fundamentals about cooking right when I needed it. This has its place firmly 'planted' on my kitchen shelf. This Cheese is Nuts by Julie Platt. Confession time – I don’t actually own this book but it’s on this year’s Christmas list! You may not know this about me but I was a cheese addict. I mean a serious cheese addict! And I’m not talking about those crappy plastic coated slices of cheese. I’m talking deep fried, gooey on the inside, crispy on the outside kind of cheese. Every weekend me and my girlfriends would go to our favourite restaurant for our brie fix. When I made the choice to go plant based this is what I missed the most. But then I discovered plant based ‘cheese’. Up until now I usually only get to indulge in these types of nut-based cheeses when dining out but I’m ready to take on making my own. And I can’t way to explore the recipes in this book. What are your go-to favourite cookbooks? Let us know in the comments below.